I first heard about Dylan Rose from his days blogging. These days he can be found at Fly Water Travel. I’ll actually be seeing him in Pleasanton here next weekend at the Fly Fishing Show. He answered some questions about his salty experiences here. You are now at Fly Water Travel. How did you end up there and what has been the best part of the job so far? Honestly, how I ended up at Fly Water is a pretty long and sordid tale! I suppose the path started as a toddler fishing off of my parent’s small sailboat in the San Juan Islands of Washington State. Even at that early age of 2 or 3, I was fascinated by fish and trying to catch them by any means possible. With my finger nails caked with bits of herring, tube worms, crab guts, or shrimp that my brother and I would catch with our hands off of a dock, I’d fish for everything and anything. The addiction only grew from there leading to a job at a local fly shop, guiding, teaching, repping, e-commerce, blogging and now travel. I’ve seen and experienced a lot in my 16 year career in the fly fishing industry and it definitely has not all been easy. I really feel like my varied experiences in all sorts of fly fishing related gigs has perfectly trained me for a job at Fly Water Travel. The pains and gains I’ve been through along the way have prepared me for what I consider to be the best job in the business. I work with an amazingly talented crew every single day and get to be part of a highly successful small business with great clients. 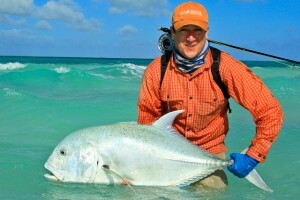 The opportunity to travel the world and experience the best saltwater fisheries on planet (and call it work!) isn’t too shabby either. It doesn’t better than that for me and I feel truly fortunate and blessed. How do you set expectations for a trip so that someone isn’t disappointed? Setting expectations is really at the crux of what we do here. It’s about being totally honest (sometimes brutally so) with our clients. Sometimes that means telling a client that a trip is just not right for them. Luckily, Fly Water has been around working hard for so long that we are not starved to make a booking. It’s not uncommon to send a perspective client elsewhere if it just feels like their expectations are not in line with what we can offer them. There’s not pressure to sell someone on a destination just to make a sale. So it’s actually very easy to be totally honest, unbiased and just tell anglers like it is. As long as I come to work each day and am honest about my impressions of an operation or fishery and communicate that effectively to our clients, I feel like I’ve done my job. You’ve caught GT’s… I long to do it. If someone has that on their bucket list, what is the best, fastest, cheapest way to make that bit of that magic happen? Compared to the Indian Ocean, Christmas Island is really accessible, affordable and relatively easy to get to. I’ve just returned from my second trip to the island and without a doubt, it’s the closest and easiest way for one to have an encounter with a GT. The guides at Christmas Island Outfitters are simply fantastic at putting you into the best situation to make it happen. 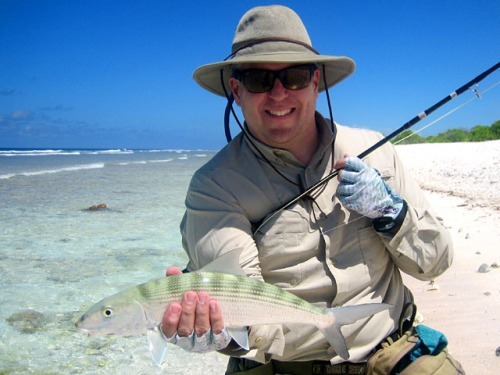 Of course, it can be pretty easy when conditions are right and they’re able to chum them in, but they are also great at putting you on a productive bonefish flat that at the same time houses big GT’s roaming the edges. There is simply nothing like happily fishing along a flat and turning to see a 70lb GT crashing bait with a foot of its back out of the water. As you throw your 8wt down on the flat and reach for the 12, there is a split second that you find yourself hoping that it doesn’t decide to just swim over and take a chunk out of your calf. They are easily and without a doubt the most savage fish I have ever encountered. 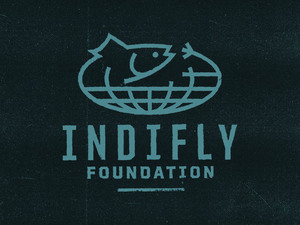 Where does fly fishing fit in your life priorities? Fly Fishing is a huge part of my life. It’s my both my work and my recreation, but it’s not so much just about the fishing for me anymore. It’s just a great excuse to travel, to spend time with friends and family, and just enjoy the splendor of our natural surroundings. What other excuse could you possibly come up with to creep around a flat in the tropics, soak in the environment, observing everything and just taking in the incredible beauty of our planet? Do you have a saltwater mentor and if so, what has that person taught you? 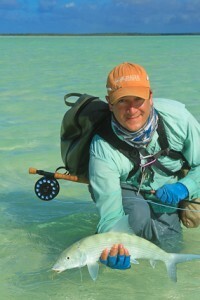 Without a doubt, Brian Gies who is part owner and co-founder here at Fly Water is my biggest saltwater mentor. It’s just great to have him around every day to bounce ideas off of and his experience fishing the best saltwater destinations around the world is extremely valuable for me. Ken Morrish, who is also part owner/co-founder here, is another huge influence. His knowledge of fly pattern design, mechanics and philosophy is truly mind boggling. His incredible creativity at the vise is a huge inspiration for me and his patterns from trout to bonefish to steelhead are the most instantly fishy right out of a fly shop bin of any I’ve ever seen. We also have some clients that are truly remarkable anglers and that I would certainly consider mentors. I am humbled and learn something new every day in this job, whether on location or in the office. Trips involve a lot more than just fishing. What is something non-fishing that you particularly love about chasing saltwater species? I really enjoy looking at life through the lens of those folks living and fishing in far off saltwater destinations. I have met some amazing people through my travels that I keep in regular contact with. Whether it’s the guides, the owner/operators or simply members of the crew, it’s remarkable to compare contrast how folks live in other less fortunate parts of the world. It provides a lot perspective and that’s one of great things about traveling that I look forward to. I fear that many traveling anglers do not take the time to really find out about the people that work and live in the far away areas where our beloved saltwater species live. Doing so can provide a great clarity for what’s truly important in life and can provide opportunities for laughter and joy when cultural differences are embraced and explored. I’ve been an R.L. Winston man for quite a while. Happiness is a warm 8wt 9’ Boron-IIX, although I would love a BIIIX, a Bauer M5 and a Rio Tropical Clouser (which has become the Saltwater taper as of this year, I believe…). If you had to spend money on a rod or reel for bones, where would you put more emphasis and why? It would definitely be the reel in my opinion. A reel is certainly more susceptible to salt corrosion. The salt can play hell on a reel. In the salt, with hard running powerful fish, nothing is more frustrating than a reel that doesn’t perform. On a flats trip, you’re traveling so far and spending so much money that a cheap reel will just cause nothing but headaches and heartbreak. Get a good reel, take care of it, treat it right and you’ll be happier for it. Thanks Dylan and hope to see you soon. Fly Water Travel sure does go to some interesting places… I’d like to make it out that way at some point (might have to wait until after the whole startup thing pays off). 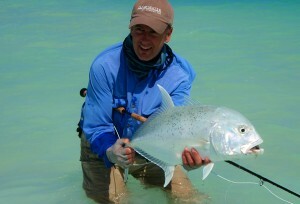 A little report from Fly Water Travel from Christmas Island. Brian gave an interview a while back about Christmas. “This past week was great!!! Bones were very active in the AM, less in in the PM. Caught a few smaller trevallys….not GTs. Guides said this was the best week they remember in months! 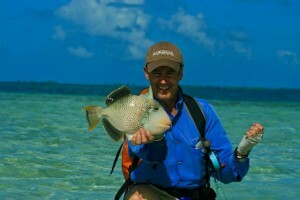 via Christmas Island Report « Fly Water Travel’s Reel News – 800-552-2729. Brian Gies is the business manager and CFO at Fly Water Travel, a company located in Ashland, Oregon, that sends anglers out all over the world for life changing angling experiences. As a kid I used to go to Ashland for their fantastic Shakespeare Festival, little did I know the city was also the gateway to Argentina, Mongolia and Christmas Island. The subject of this interview was about Christmas Island, one of those “ultimate” destinations. Flywater Travel offers trips to Christmas Island. Christmas is one of those places that is seen as an ultimate destination. What is it that makes Christmas Island so special? The answer sounds a bit cliché but besides that fact that year in and year out the place just flat out produces some of the most consistent flats fishing anywhere in the world, it is the people. Of all the destinations we sent people Christmas Island ranks number one in client response about the guides, lodging staff. I think a lot of this has to do with the fact that the people of the island are truly kind generous people who are easy to laugh and eager to help. What are the challenges that a place like Christmas Island presents that you might not encounter other places? The bottom line is this is a tiny island in the middle of the pacific so just getting basic goods and services there can be a challenge. The accommodations and meals anglers receive are nothing to write home about but they are far above what the vast majority of the islanders have. Imagine this: At least once or twice a year this island runs out of rice and sugar. Out….Totally. I’ve heard that netting has been impacting bonefish. How is the state of the fishery there? Over the years netting as well as angler pressure has impacted the fishing. To be honest you would be hard pressed to confirm which has been harder. Over the years the island has been almost loved to death with as many as 50 + anglers on the flats a week. The flats can handle a lot of pressure but this number of anglers and a growing island population was starting to take a toll. However, as of late there have been two major developments. First, just over a year ago the government passed a regulation that prohibits netting bonefish in the lagoon. Second for the past year and a half the charter flight to the island has only had the capacity to take 18 people a week to and from the island. The result has been truly spectacular fishing. I honestly think if we can keep the numbers of anglers to a minimum(Max 30 a week) and the island can keep the nets out of the lagoon the place will keep on producing great fishing long into the future. What can one expect in terms of weather and wind in a place like Christmas Island? Air temperatures are usually in the upper 80’s to low 90’s and water temperatures average 75°. Wind is typically constant between 5-10mph. What are the unique gear considerations for Christmas? Gear is quite typical of other flats destinations. 7 or 8wt rods for bonefish and 12wt for giant trevally. The big thing is that as it is 100% wade fishing good flats boots are a must. 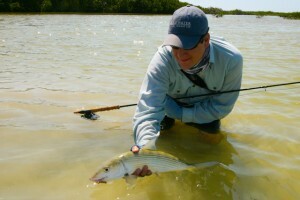 If you had to bring one bonefish fly for Xmas, what would that be? What does a good day’s fishing on Xmas look like? A good day means different things to different people and numbers of fishing landed is often just one piece of the pie. 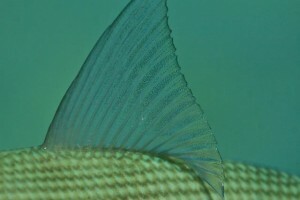 For the average angler on Christmas it would be learning the subtleties of casting in the wind on the flats, learning how to strip set on a bonefish, learning how to cast to a tailing vs a cruising fish, catching between 10 and 20 bonefish that average 3 lbs, getting one or two shots at trevally, and having a great conversations with the guides in between the fishing. Thanks Brian. Hope to see you in Christmas some day.